Advertisement - It's no secret that I love pampering. I'm a massive believer in spending time, on you. Whether it's fresh air, a long hot bath, going to the gym or doing a face mask that makes you happy, this year, take pleasure in the little things and make more time to do them. In such a busy world, we often forget to put time aside for the things that make us feel good. For me, pampering is a year round thing, when it gets warm in summer I absolutely love taking extra care of my skin and body but equally, in winter, when the cold weather makes my skin unhappy, I also take pride in my beauty routine. For me, pampering makes me feel good about myself, it's a little spa session, to me, every morning and every night. I genuinely enjoy washing my face as it makes me feel so fresh. Today I wanted to talk to you about two products I find amazing from NEUTROGENA®. This blog post is a paid for advertorial with NEUTROGENA®. I've adored NEUTROGENA® for as long as I can remember. I'll never forget seeing Vanessa Hudgens as the face of the brand and buying every product when I was younger. I've grown up loving them, a brand I trust and a family favourite. 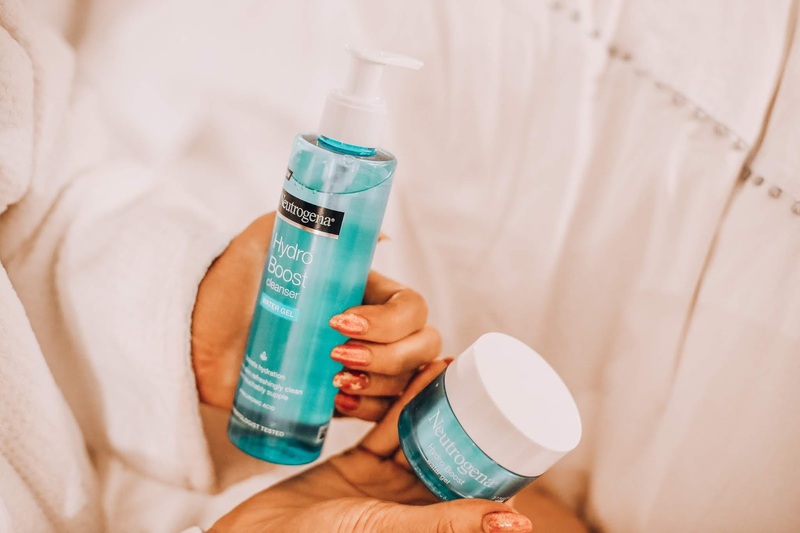 Today I'm going to tell you about two of my favourite products for winter from the ​NEUTROGENA® ​Hydro Boost range. I think the NEUTROGENA® Hydro Boost range is exceptional and as it includes both body and face products. 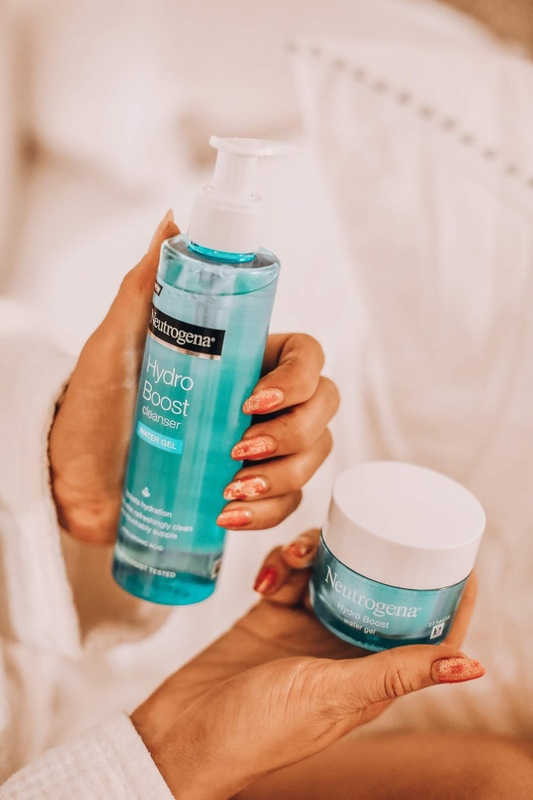 The NEUTROGENA® Hydro Boost range quenches the skin with a boost of vital hydration and I'm all about that in winter. 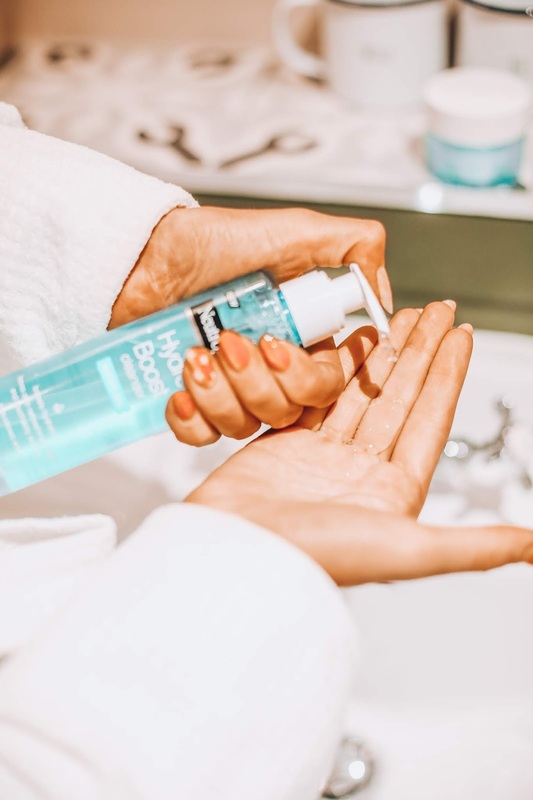 First up, the NEUTROGENA® Hydro Boost Water Gel Cleanser, this product makes my skin feel supple, as if I've had a pamper session but it's quick and easy to use and cleanse with if I'm in a rush in the morning. I love waking up and washing my face, I don't feel awake unless I've done it, it's a vital step in energising my morning. I love using gel cleansers and this one feels so lightweight, it activates with water to lather away dirt, oil and make-up whilst quenching the skin and hydrating it, making it perfect for early mornings and late night make up removal too. It makes my skin feel so smooth. The NEUTROGENA® Hydro Boost cleansers contain a patented cleansing technology combined with hyaluronic acid to cleanse effectively while protecting the skin's barrier to help lock in hydration. 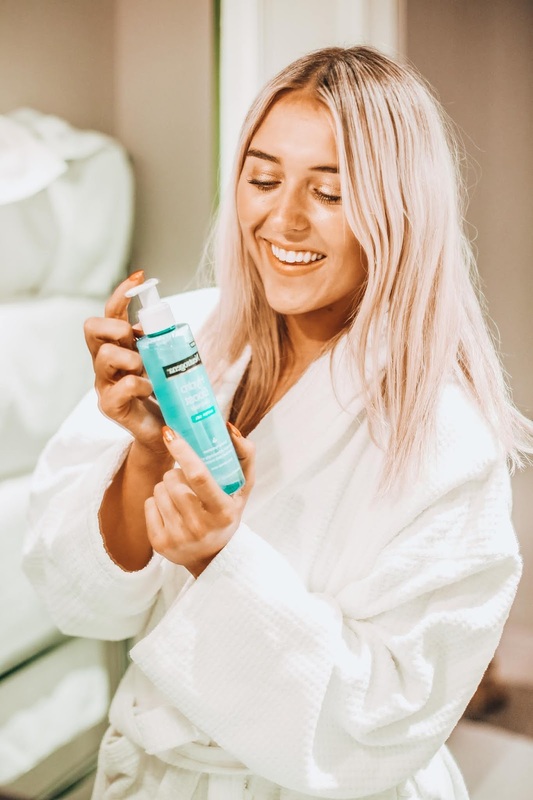 The NEUTROGENA® Hydro Boost Water Gel Cleanser really is a simple but effective product, just lather onto wet skin, massage the face gently (literally like a spa treatment at home) then rinse thoroughly and follow with a moisturiser. My skin is happy with anything that boosts hydration, leaving my skin clean & touchably supple all day long. The RRP is only £7.99 and is available at Boots online here. Next up, the NEUTROGENA® Hydro Boost Water Gel Moisturiser. I've been using the NEUTROGENA® Hydro Boost Capsule-in-Serum Supercharged Booster for quite some time now but today, it's time to talk about the moisturiser. You could use both products together for an extra boost. The ​​NEUTROGENA®​ ​Hydro Boost Water Gel Moisturiser is a unique moisturiser with a light texture and it has long-lasting, intense nourishing power. I love the texture of this and it instantly hydrates my skin, it's as if my skin drinks it up. 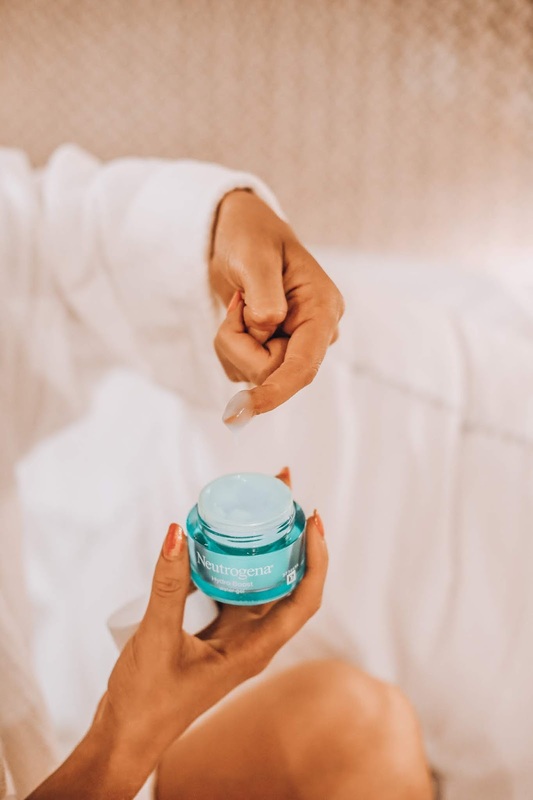 This product contains a unique Hyaluronic Gel Matrix to instantly lock in intense hydration and continuously release it as and when your skin needs it throughout the day, so it really is the perfect day moisturiser. I also love applying it in the evening because when I wake up my skin is incredibly soft. For me, it's important that it absorbs quickly as I hate having sticky skin. With an RRP of £12.99, and available at Boots online here. 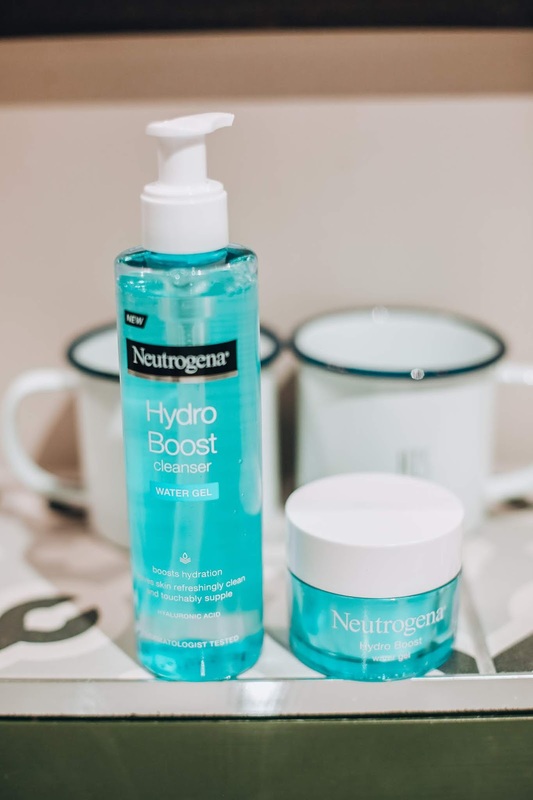 So there we have it, a little look at some affordable but effective goodies for your winter skincare routine from NEUTROGENA® - I have to say, I find their Hydro Boost range is exceptional and it'll take you all the way into summer too. Have you used any NEUTROGENA® products? Which are your favourites? What do you look for in skincare? This blog post is a paid for advertorial with NEUTROGENA®.